Diabetes has significant clinical, economic and humanistic implications, both at a national and global level. Type 2 diabetes (T2D) is highly prevalent in older people. This paper describes a first prototype of an application intended to facilitate self-care of older people with T2D, supplementing appointments with healthcare professionals. The application is based on a virtual assistant with an anthropomorphic representation. The virtual assistant is capable of speaking and expressing emotions through facial and body animations; it has been designed to act as a relational agent, developing long-term relationships with users. It targets adherence to medication, physical activity and diet, tailoring the intervention to users’ needs and characteristics. The Behavior Change Wheel was chosen as the theoretical approach to behaviour change and supports dialogue content. Built for Android devices, the architecture of the application first prototype includes a core component, a dialogue creator, a speech generator and a database. The first tests on the application contents and usability were conducted in a sample of ten academic nurses with expertise in primary care. Overall, these tests yielded a positive opinion, as well as suggestions for improvement. 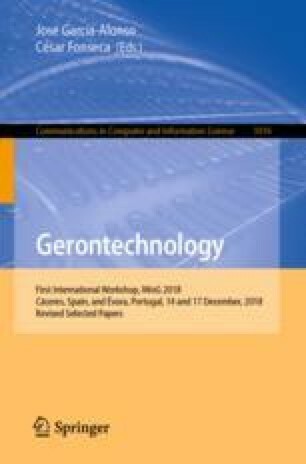 On-going work includes testing the first prototype with older people with T2D plus health professionals in primary care units of the Portuguese National Health Service, and incorporating a rule-based context-sensitive dialogue manager, which is expected to convey a more flexible dialogue flow. The authors are indebted to Adriana Henriques and Isabel Costa e Silva for their work in the VASelfCare project, as team members. The authors express their gratitude to the advisory board members and the academic nurses who participated in the tests. This work was supported by FCT and Compete 2020 (grant number LISBOA-01-0145-FEDER-024250).